﻿Today as I looked out my window I can for only a few more hours see the grass which has been hidden for a few months with mounds and mounds of snow and ice. The flowers are starting to pop through and blossoms on my plant by my bay window are starting to bud. I say only for a few more hours as we are expecting another snow storm tonight which is going into tomorrow. Just the other day it was Spring. You will notice I have titled my column this month with the title of this year’s Junior Grange program. Each minute of every day makes a difference in many people’s lives. Whether you realize it or not it can be that person that you offered the seat to on the bus or the train or the Metro. It’s the person that is in front of you in the grocery line that is just missing a few cents that you offer it too. Whatever you do at the end of that particular day makes a big difference in someone’s life, you can say at the end of that day “I Make a Difference”. All of our Junior Leaders do that every time that they meet with their Junior Grangers. As National Officers, and Directors, State Officers and Directors we have the opportunity to make a difference in each of the youngest people of our organization that being of our Junior Grangers. Each time that we have or will soon attend a Junior Grange meeting we can make that difference just by being there to support them in any of their projects that they may be in the middle of that particular day you attended. Bring to them your knowledge, your support and your understanding and they will give back to you something that you can take back to your home or to your Subordinate or Pomona or better yet your State Grange to help you see just what a Junior Grange is all about. 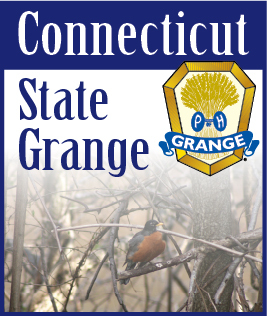 One of my many goals this year is to see more Junior Granges being either organized for the first time or reorganized and that each one of us take such an interest in the important role of the Junior Grange in our states by becoming a part of them. Let’s take an active part with these juniors. Find a Junior Grange near you and join, bring some of your adult friends that you would travel to other Granges with and let them see how great a time that they will have seeing these juniors do the work just as the adults do in their granges. Extend those helping hands to those hard working junior leaders and let them know at any time you will be there for them. At this time I would like to take the opportunity to thank the State Junior Directors who have continued for another year of service and welcome our new State Junior Directors. I look forward to working with all of you this year. For all of you that are Junior Leaders, no words can come from all the time and hard work that you put into with all your Junior’s, times like this when you deserve the award of “I make a difference.” We all as National Directors and State Directors thank you for a remarkable job. Finally In the last few months I have had the opportunity to take a look at the Junior Program Guide books for the past few years. It is in my opinion that some of the contests need some changes and some of them need to be either updated or possibly taken out for a year and replaced. So I hope when the 2012 Program Guide book comes out soon that you will bear with me and when we meet as a group let me know what you like or dislike about some of the changes. I am looking forward to meeting all of you this summer as I travel to places that I have never traveled before. So let’s hope for a great summer and great Youth and Junior Conferences.